AMARILLO, TX (KFDA) - Due to the upcoming winter storm, the annual Boys Ranch Christmas lights contest has been rescheduled for Thursday, Dec. 13. 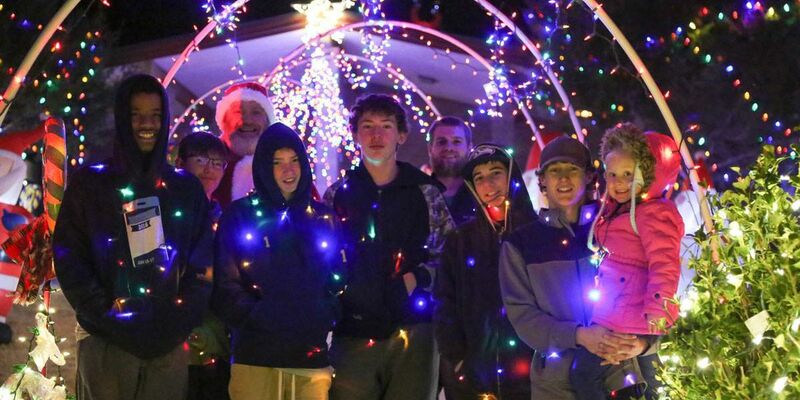 Each year, students living at Cal Farley’s Boys Ranch decorate their group homes with lights and decorations. On Dec. 13, you can view decorations at campus homes from 5:00 p.m. until 8:00 p.m.
At 7:00 p.m., a group of alumni will view each decorated home and rate the homes on aesthetics and overall creativity. “Our children deserve to experience the joyful spirit of the Christmas season, and this is a fun way to accomplish that,” said Cal Farley’s President and CEO Dan Adams. “We’re proud of the relationship Cal Farley’s has with the Cal Farley’s Boys Ranch Alumni Association, and I’m pleased they’ve again agreed to be our guest judges for this event." The top three homes will receive an award, with the winner claiming a trophy. The winning homes will be announced on Dec. 16.